WW2 German Kyffhauserbund Shooting Award (Bronze) enamel stickpin. Deutscher Reichskriegerbund Kyffhäuser. Bronze wreath surrounds the perfect enamel shield. Measures about 23 mm across. No maker mark. WW2 German Kyffhauserbund enamel stickpin. Deutscher Reichskriegerbund Kyffhäuser. Marker marked, Ges. Gesch., on the reverse Perfect enamel. 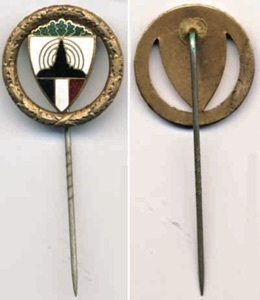 Pin is bent in a way you would wear it. Measures about 2 inches overall. 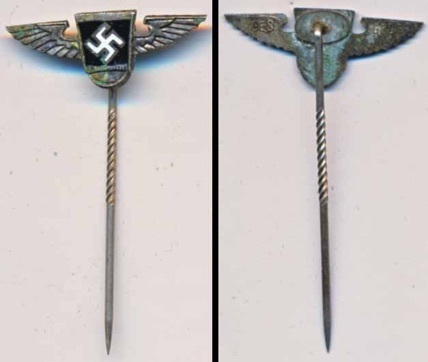 WW2 German National Socialist War Victim’s Care (NSKOV) silver stickpin. Nationalsozialistische Kriegsopferversorgung. Marker marked, RZM and 52, for Deschler and Sohn, Munich. Measures about 2.25 inches overall. WW2 German National Socialist War Victim’s Care (NSKOV) 25 year membrship pin. Nationalsozialistische Kriegsopferversorgung. High quality silver wash and enamel pin measures about 22 x 29 mm. Has safety type pin and catch. Maker marked on the back, Ges. Gesch. and 4. Perfect enamel with no chips and the silver has a nice patina beginning. 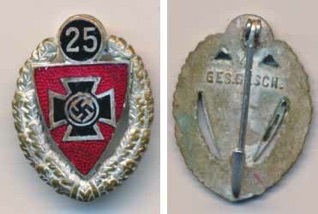 WW2 German Reichsarbeitsdienst member pin. Measures about 16.23 mm across. 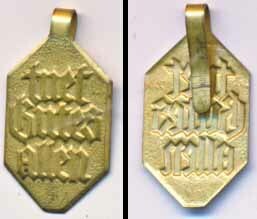 Maker marked on the reverse, Ges. Gesch. with A&S beneath and an inverted triangle beneath with RAD inside. Perfect enamel. 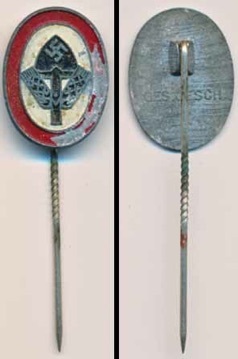 WW2 German Home Mission stickpin. Innere Mission. 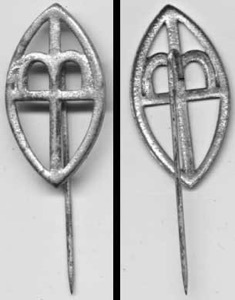 1936 cross inside an oval stickpin. Measures about 14.5 mm across. No maker mark. WW2 German Caritas tuet Gutes allen donation pin. Do Good All pin. The Caritas, charity, organization was created in 1897. In 1933, the Nazi Party created the WHW and thus broke off their ties to the Caritas. However, the organization continued their charity work throughout the war. Measures about 13 mm across. 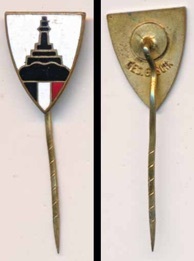 WW2 German Reichsarbeitsdienst member pin. Measures about 16.98 mm across. Maker marked on the reverse, Ges. Gesch. Later war version with paint rather than enamel. 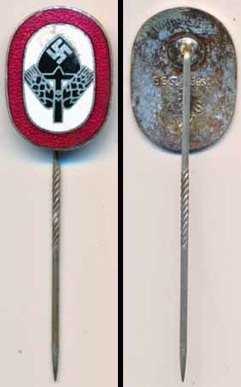 WW2 German SA Reserve II stickpin. Measures about 25.25 mm across. Maker marked and has Ges. Gesch on the reverse.